The first building of Nest 610 at 448 East 3rd Street. This is the history of Polish Falcons Nest 610 taken from the District IV Convention Book dated July 1-2-3-4, 1939. A copy was located at Mercyhurst University Library Archives. 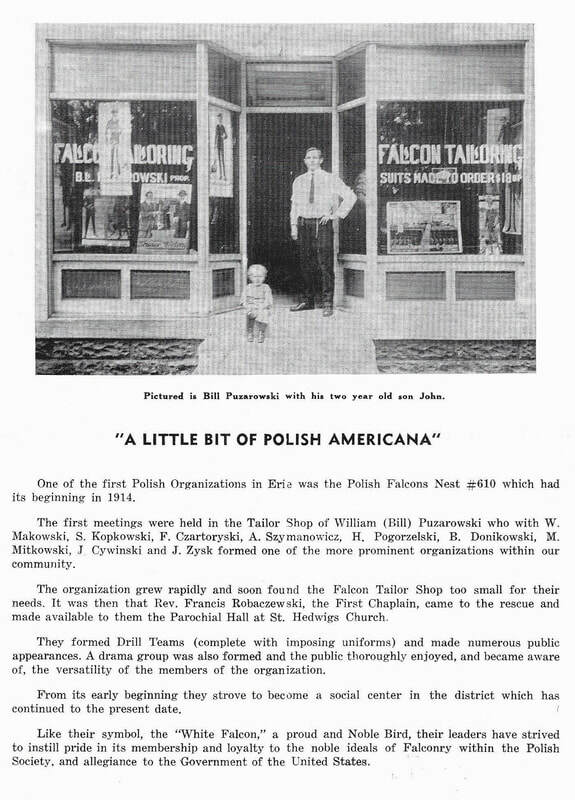 “It was the good work of Local 123 which influenced certain well thinking men to organize another Falcon group in the Polish Community near the Lake Erie section. In October, 1914, with the help and guidance of Rev. Francis Robaczewski, pastor of St. Hedwig’s Church and under the leadership of W. Makowski, S. Kopkowski, W. Czartoryski, A. Szymanowicz, H. Pogorzelski, B. Donikowski, M. Mitkowski, J. Cywinski and J. Zysk-a rally was held in the parish hall for the sole purpose of organization. The result was a new group Local 610. The officers elected were: S. Kopkowski, president; J. Zysk, Secretary; J. Cywinski, Treasurer and W. Makowski, commander. In November of the same year the Local had been incorporated into the National Falcon Organization. The first activities, drills, practices and public appearances were conducted in the parochial hall of St. Hedwig’s Parish, which for some time served as a Local. A great debt of gratitude in certainly due to Rev. Francis Robaczewski, whose untiring zeal and support made the progress and success possible. In the first months of the year 1915, a plot was bought from a member, B. Donikowski for $1700, where a year later a Local building was erected at the cost of $10,000. 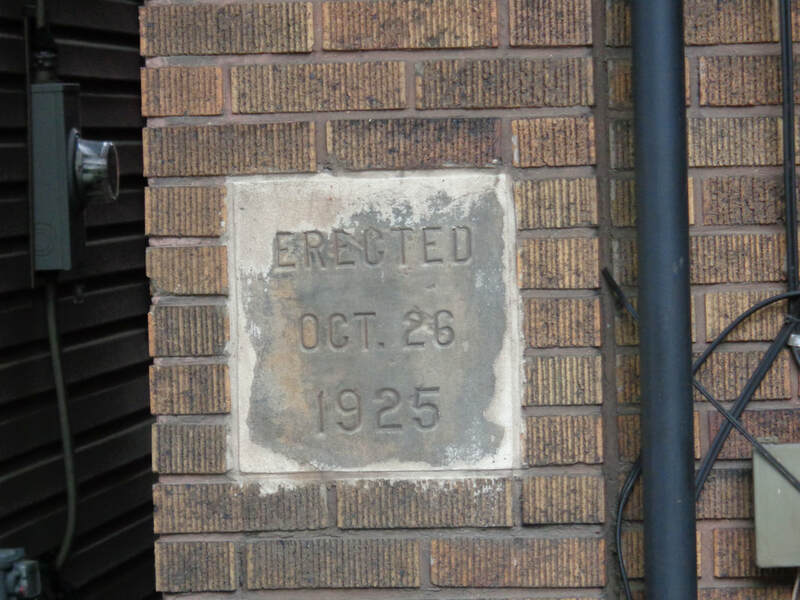 The cornerstone of 448 East 3rd Street.